You’ve seen them in shops, perhaps you even have it set up in your own business, but the question lingers: how do you use a POS machine? First off, there is no such thing as a “POS machine”. 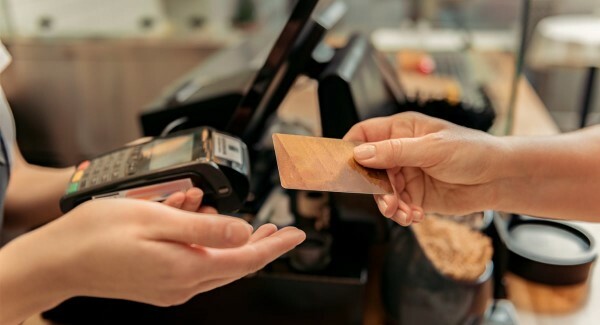 Rather, the term is sometimes used to refer to either a card terminal or point of sale (POS) system, perhaps even the till interface where you type in sales. 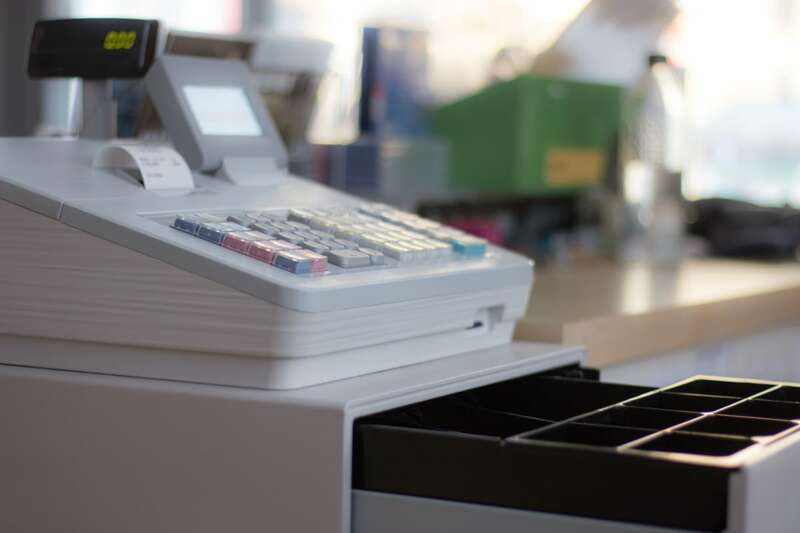 The closest thing you get to an all-in-one POS machine – but it is outdated because it’s not connected to EPOS or a card terminal. Let us assume that using a POS machine refers to processing a sale. The two biggest payment methods today are cash and credit or debit cards. Let’s look at how to do this. There are generally two ways to accept cards at a till point: via manual entry or automatically via a linked-up system. Both require a card reader of some sort – a standalone terminal for manual entry or integrated terminal for a linked-up system. Regardless of terminal type, it will have to connect to the internet via a phone line by cable, WiFi or through a built-in SIM card. POS screen where you register the customer’s items before processing the payment on the card machine. 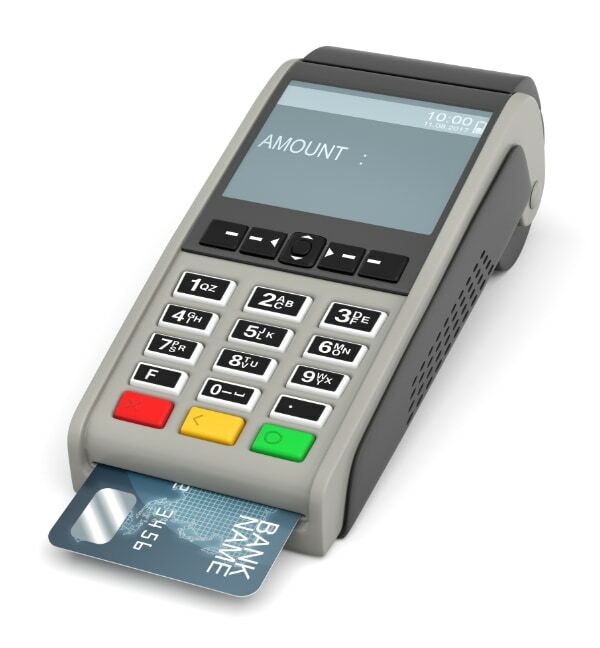 A standalone card terminal is independent of the POS software or cash register where you register transactions through. 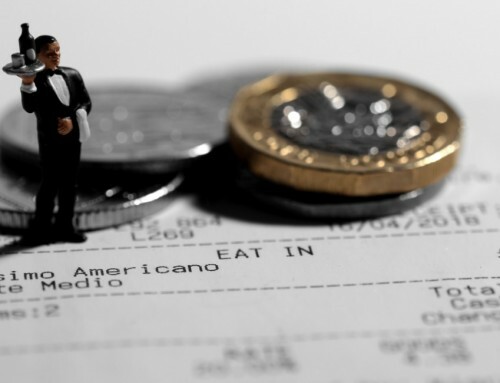 There is no communication between a standalone terminal and the rest of your POS system. This means when you’ve tallied up the items to sell on the till screen or cash register, you have to then enter the total amount on the card machine keypad. The terminal will then connect with the card issuer, merchant bank and others to approve the transaction. Once approved, it will print a receipt if it has an inbuilt printer, or conform with a beep or message on its display that the payment was OK.
An integrated terminal is connected with the EPOS software, so that when you’ve entered products on the till screen and pick card payment, the central software will send the transaction amount to the card terminal. The card machine will then usually light up and show the payment total automatically, prompting the customer to pay that (or add a tip, if that setting is switched on). You don’t have to enter anything manually on the terminal this way. As with standalone terminals, the integrated machine processes the payment over the phone line or internet, printing a receipt if applicable. Today’s EPOS systems usually have a touchscreen monitor with a visual interface for entering products sold and payment amount given. When you accept cash, you usually enter the amount given by the customer in cash, and then the POS software calculates how much change is due back to the customer. At this point, you should put the received cash in to the cash drawer and collect the due coins and notes from the cash drawer to give back to the customer to make the paid amount correct. When you’re not using the cash drawer, it has to be securely shut to prevent theft. 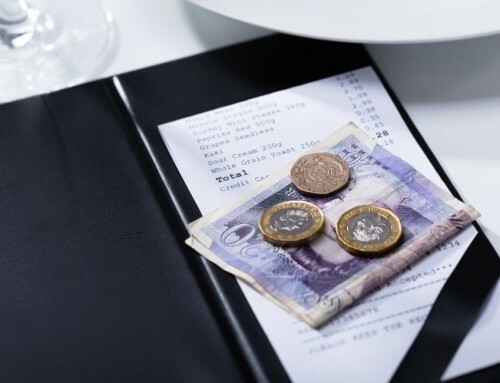 In today’s EPOS systems, it is usually integrated with the main computer or tablet software, so it automatically opens as soon as you enter the paid cash amount on the till screen. If it is not integrated, you may have to manually open the till drawer. 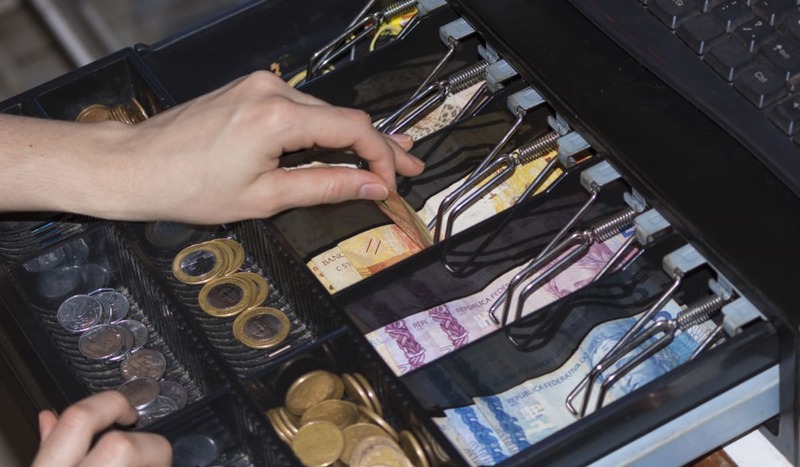 A cash drawer should have coins and notes organised so it’s easy to quickly collect the correct change for a customer. At the end of each trading day, you usually have to perform a “Z report” which shows all your daily totals divided into payment methods, e.g. cash, card, cheques and gift cards totals. With a card machine, you may very likely have to run a Z report on the terminal for just the card sales to compare with the totals in the EPOS system. 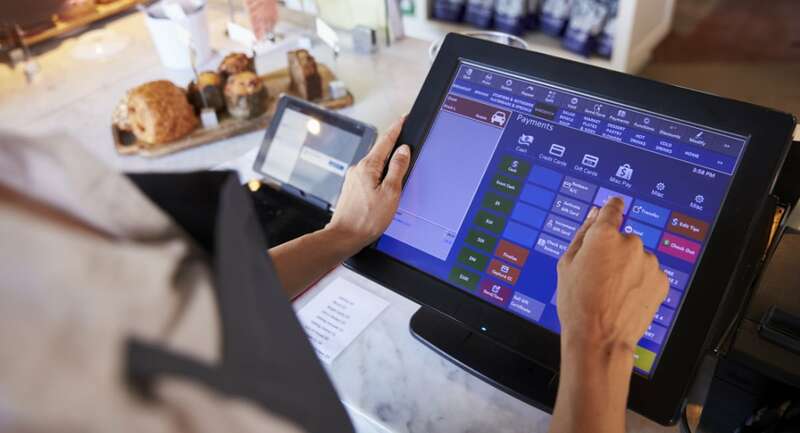 The overall point-of-sale Z report can be run on the till screen, mobile device or computer where you can log into the EPOS system to view sales. Using the terminal buttons, you can confirm sales amounts but also navigate a menu of settings and actions such as running a Z report. If you have a standalone terminal, you can compare the terminal Z report with the EPOS Z report to see if the card totals are the same. If they’re not the same, it can mean a card payment was not entered in the EPOS system, or a payment on the EPOS system was erroneously declared as a card payment when in fact it was made by cash or another method. If you accept cash, you will also need to count the till float (money in the cash drawer), deduct the float amount at the start of the trading day, and then you will have the total cash takings of the day. Compare that to the Z report’s cash total, and if it’s the same, it means you have given the correct amount of change back to customers that day. If it is under or over the Z report total, it counts as a discrepancy that should be noted in your accounting. In any case, it is a business requirement to record all sales in some kind of accounting system. 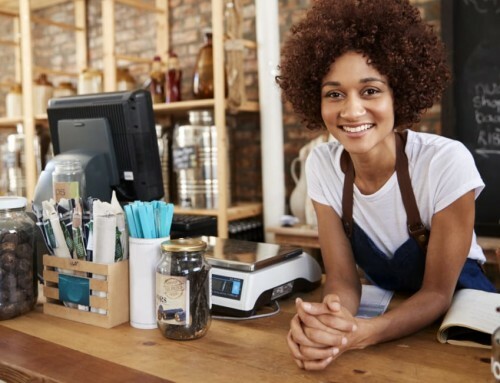 Today’s EPOS systems usually do this for you, provided you have entered all transactions in the till software, including card, cash and any other kinds of payments. Related: Is it cheaper to just accept cash (i.e. no card machine)?